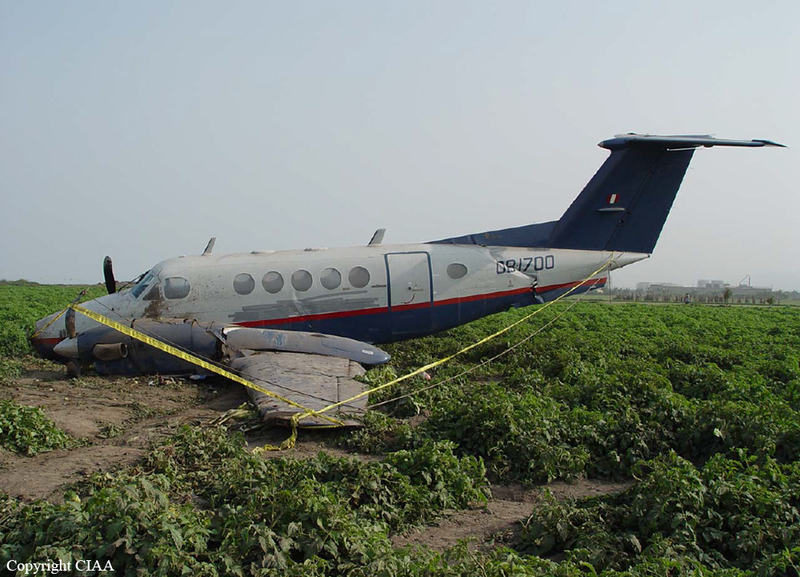 The Beechcraft Catpass 250 converted in B200 was approaching Lima at 25 miles when the low fuel pressure warning came on. 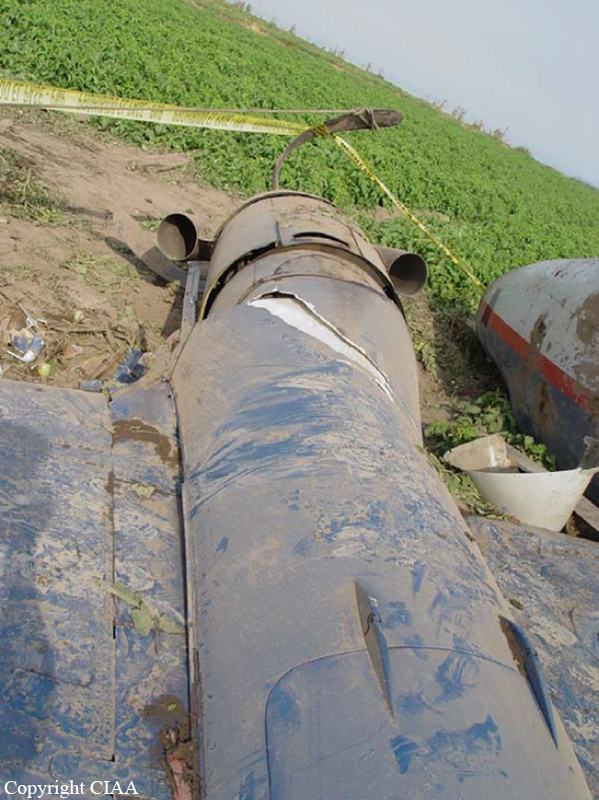 Left engine stopped followed by the right engine few minutes later, three miles from Lima. 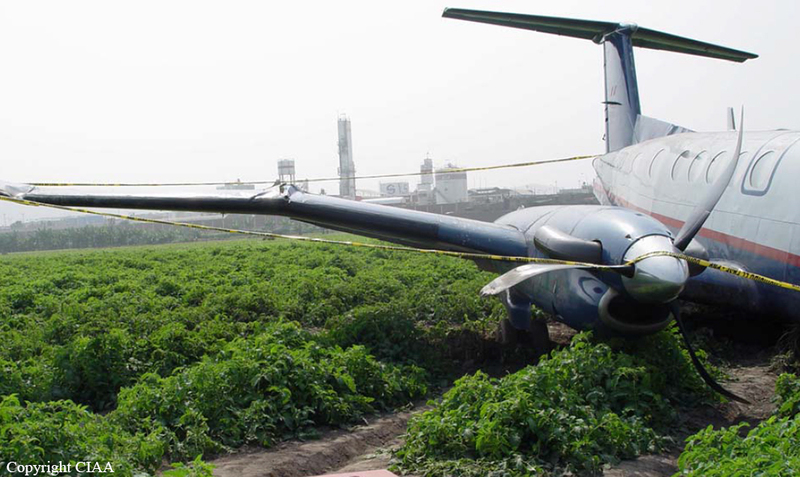 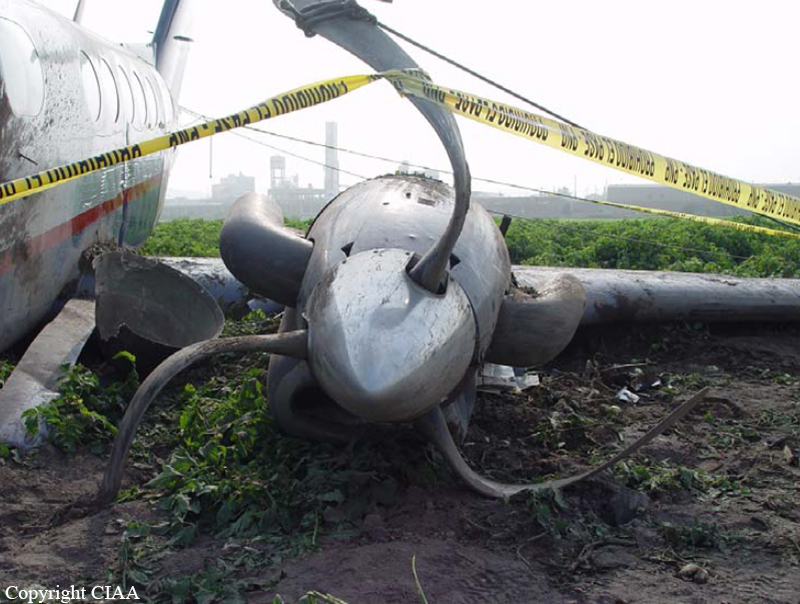 Crew made an emergency landing in an open field 3,5 km from airport and while all 12 occupants were uninjured, aircraft was considered as damaged beyond repair.